This example shows how to generate Table Report with regions using a mail merge template and XML-document as a data source. Here we'll generate invoices for a pastry shop. 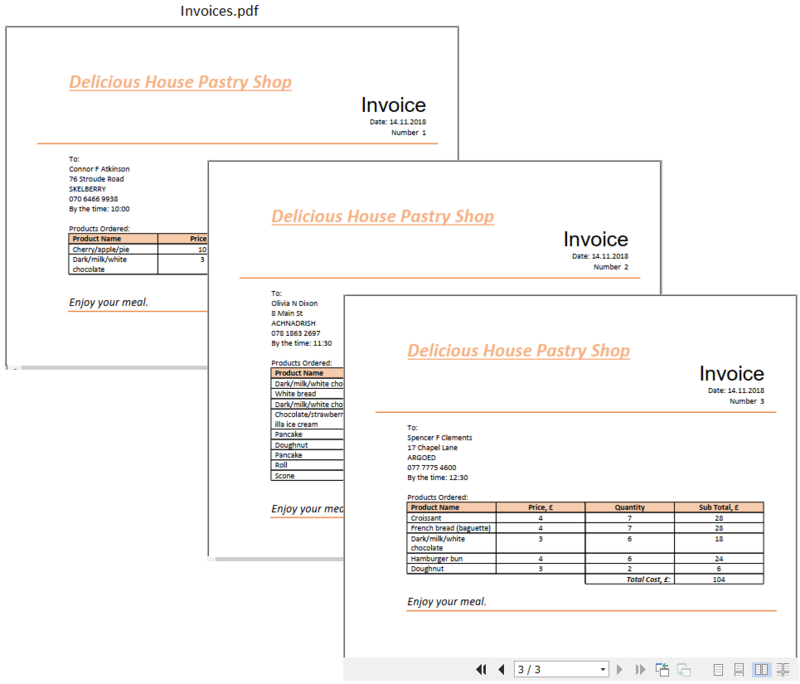 To generate invoices, all what we need are DOCX-template and XML-document populated by orders and pastry items. 1. 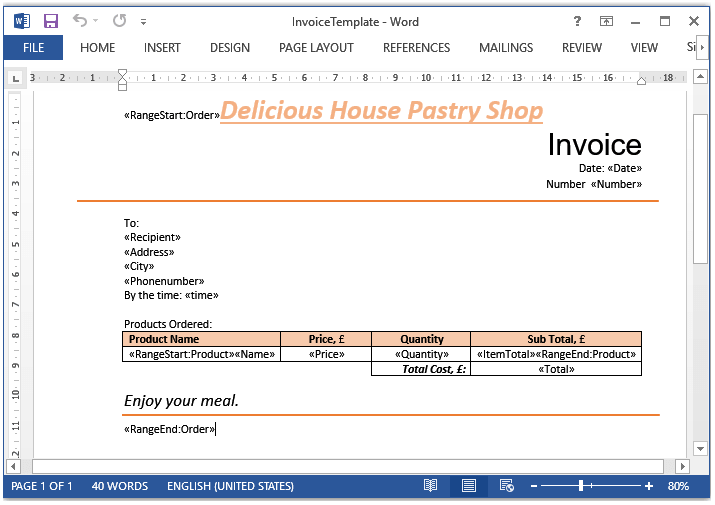 Create a template in MS Word with Merge Fields or use a ready file «InvoiceTemplate.docx». Note. If the order sheet should start from a new page, do the following. 2. Then we create XML-document populated by data. As you may see that tag names have the same names as the merge fields. By the way, you may create similar XML-document in your app using a Serialization. Below you will see the demo WPF-app where we have used Serialization too. 3. After execution of mail merge method we'll get the «Invoices.pdf» as result. The complete code in C# and VB.Net is located at the bottom ot this page. 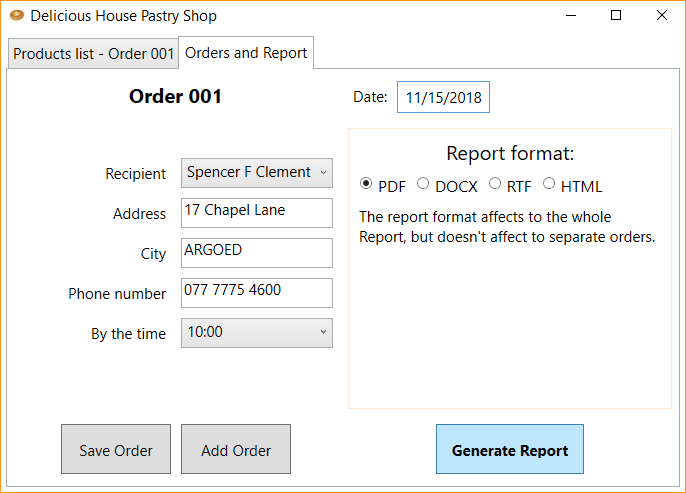 Interesting: To see this functionality firsthand, we've created for you complete WPF C# demo-app which shows the full process of creating invoices in a real Pastry Shop. 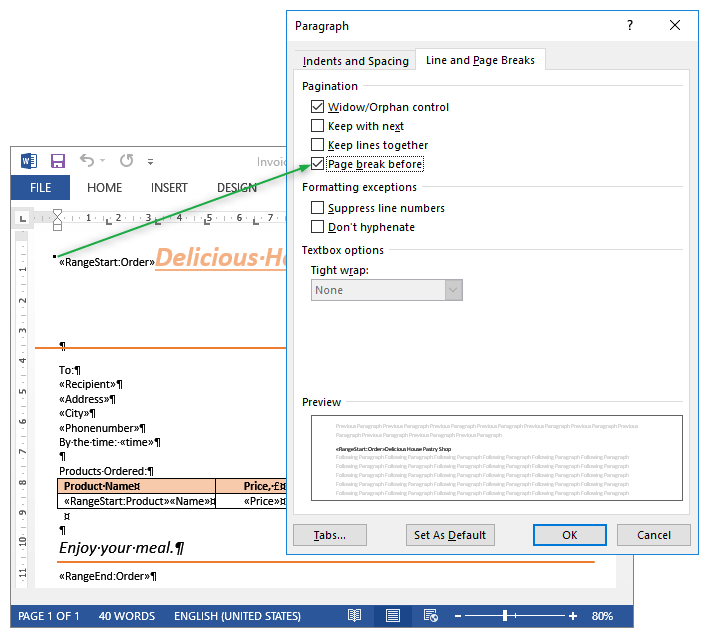 With help of this application you can create new XML-document populated by orders with pies, cakes, bread and buns and generate an invoice in PDF, DOCX, RTF and HTML formats. 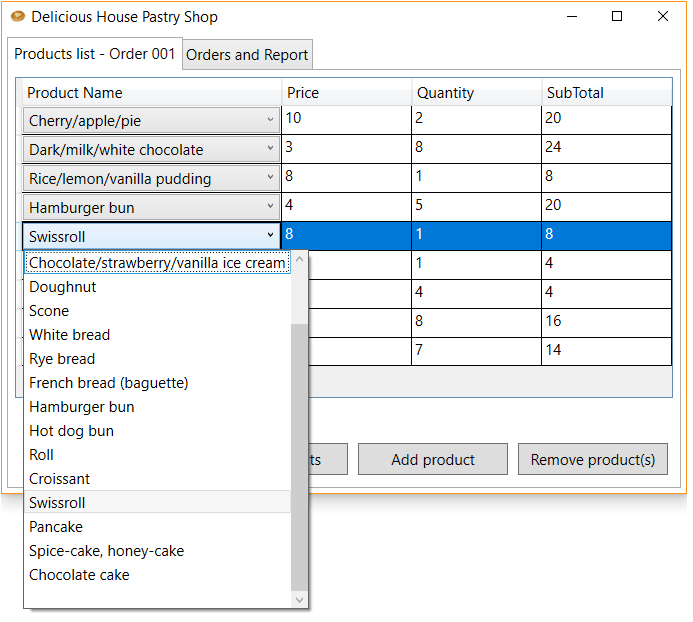 Download WPF - Pastry Shop, C# sources. (115 Kb). /// Generates a table report with regions using XML document as a data source. // Create the Dataset and read the XML. // Load the template document. // Execute the mail merge.
''' Generates a table report with regions using XML document as a data source.
' Create the Dataset and read the XML.
' Load the template document. Dim templatePath As String = "..\InvoiceTemplate.docx"
Dim resultPath As String = "Invoices.pdf"